We are growing from our roots. Over 15 years ago, a few families began to dream about a new church in Greenville–one that would welcome unconvinced friends, but would also nurture and challenge believers. Additionally, they hoped that this church would focus on the revitalizing downtown area. After more discussion, a group began meeting more frequently and held its first worship service in January of 2004. The group also began searching for a church planter. Through various relationships, they connected with Brian Habig, who was serving as a campus minister at Vanderbilt University. Brian is from a southern city of similar size. He had already become interested, before moving to Greenville, in city revitalizations and urban planning. In the spring of 2005, Brian was called to serve as the church planter in downtown Greenville, and the Habigs moved here that May. Worship services were held at the Poinsett Hotel until Easter of 2006, and then in the evenings at Pendleton Street Baptist (South Main Street). 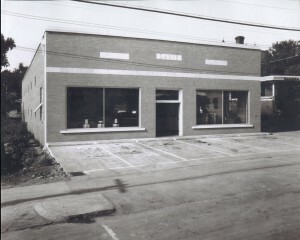 The church body moved into its present downtown facility, formerly Davis Auto Parts, in the summer of 2008, and became an established local church that same year. Our staff continues to grow. Our first assistant pastor, Jake Patton, departed in summer of 2018 to plant a new church in Celina, Texas. Our second assistant pastor, Tim Udouj, departed in 2016 to plant our first “daughter” church, Grace and Peace Presbyterian, in the Poe Mill Neighborhood.